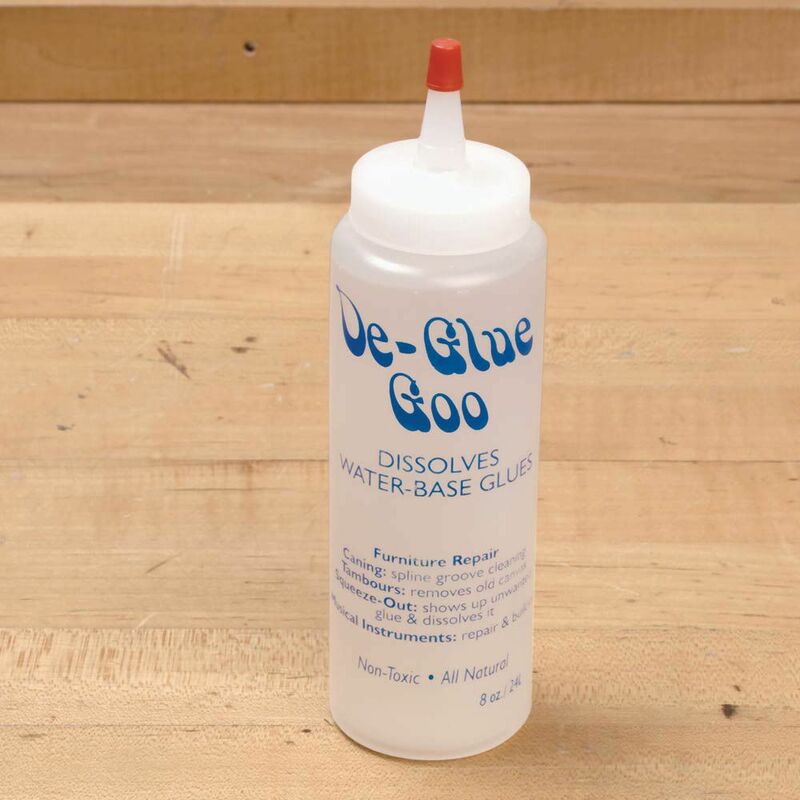 Dissolve old water-based glue quickly and safely. 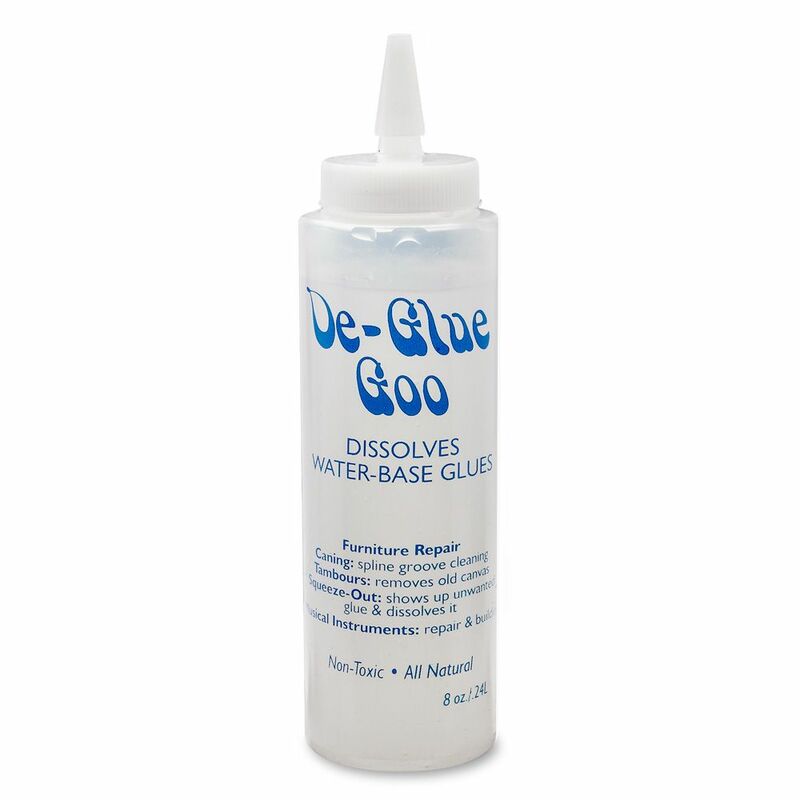 De-Glue Goo dissolves water-based glues and is recommended in the repair and building of furniture and musical instruments. Ideal for caning (spline groove cleaning), removing old canvas on tambours, squeeze-outs, and musical instrument repair and building. 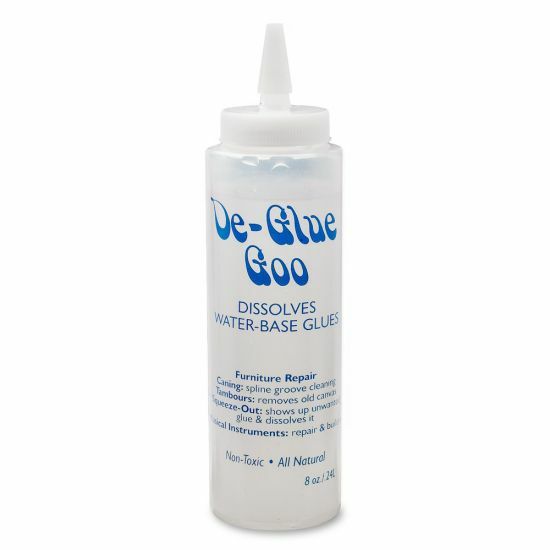 De-Glue Goo Glue Remover does exactly what the name implies. Because the repair area was difficult for me to reach it took two applications to do the job. I am extremely impressed with the results. Simply follow the instructions and you too will be very satisfied! 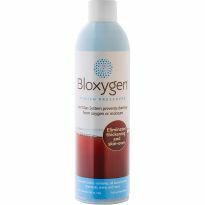 This stuff worked great! 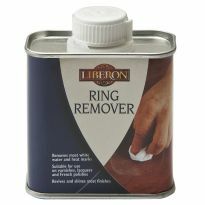 I was repairing some old chairs and this dissolved the glue easily. 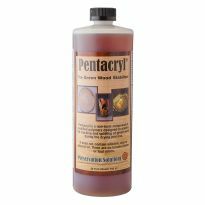 Used it to remove Titebond III from my metal clamp bars. The glue had been on there for over a year. The De-Glue softened it up in about 15 minutes and it peeled right off. 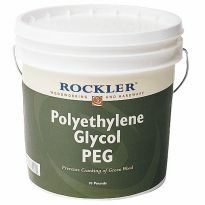 De-Glue is very thick and clings to the harden glue very well. I was able to cover the glue on all sides of the clamp bar without it dripping off. I also found that the Titebond glue had corroded the chrome finish on the clamp bars and actually removed the chrome finish. I had no idea that titebond would behave this way on metal. Worked well in removing Titebond III glue from my bar clamps. I read it dissolves old water soluble glue best. Using for removing old seat spline that holds caning in place. I need to remove a glass panel from cabinet door and part of the pane is glued to cabinet. 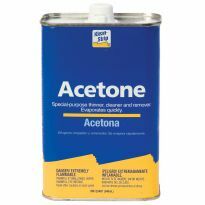 This is the only product I could find that may help me remove this panel without breaking it. Can't find my other bottle I bought earlier. Probably borrowed by somebody else.